Should you Localize Your Smartphone Applications as a Manufacturer? If your manufacturing company has recently launched a Smartphone app, or even if you’ve had an app that’s been out for quite some time, you may be wondering if it would be worth your while to localize it. Localization, in this sense, basically entails adapting your product to another market or set of markets. This could involve language translation, but it could also mean adapting some of the images, colors or audio files within the app, or even the marketing materials you use to promote it. If you’ve ever heard the saying, “There’s an app for that,” then you may have an understanding of just how important apps have become in our society. People use them for just about everything. Having a Smartphone application puts your business, quite literally, in the palm of someone’s hand. If well developed, it is convenient for the consumer to use and helps build brand loyalty and trust by delivering the information they need quickly and easily via their phone or other handheld device, just as they need or want it. If your business markets itself toward different demographics, then it is important that these demographics be represented in all facets of your business, including in the use of your Smartphone app. In fact, according to a 2012 report from Distimo, The Impact of App Translations, a study of 200 iPhone apps that launched in different native languages saw a 128% increase in downloads the week following that launch, and a 26% increase in revenue from these downloads. Applications localized into Chinese, Japanese, and Korean saw the most growth from this update. Although the US/English app market is still the most dominant market to date, other markets are growing at an impressive rate. In fact, according to the Global Mobile Market Report, global app revenues will reach $80.6 billion by 2020! Since a user feels most secure reading something in his or her own native tongue, the potential to actively engage and reach these users through a properly localized app can increase exponentially. If a user is interested in your brand and has a basic understanding of English, he may download your non-localized application. However, if he cannot decipher the language of the app well enough to make purchases, he may become more hesitant to use it in the long term than he would an app in his own language. This can easily cause consumers to delete the app and disengage with a brand entirely. Users value content in their native tongue, and the above statistics help demonstrate the impact that localizing a Smartphone application can have both on your business’ visibility, as well as on revenue. If you are actively working to expand into other markets and demographics, then Smartphone application localization is definitely something worth investigating for your manufacturing company. Should you Localize Your Smartphone Applications? 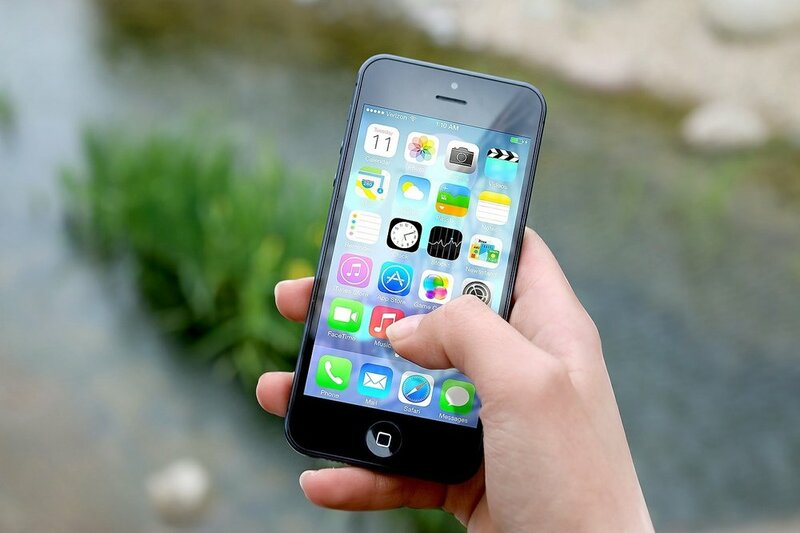 If your company has recently launched a Smartphone app, or even if you’ve had an app that’s been out for quite some time, you may be wondering if it would be worth your while to localize it. Localization, in this sense, basically entails adapting your product to another market or set of markets. This could involve language translation, but it could also mean adapting some of the images, colors or audio files within the app, or even the marketing materials you use to promote it. Users value content in their native tongue, and the above statistics help demonstrate the impact that localizing a Smartphone application can have both on your business’ visibility, as well as on revenue. If you are actively working to expand into other markets and demographics, then Smartphone application localization is definitely something worth investigating for your company. 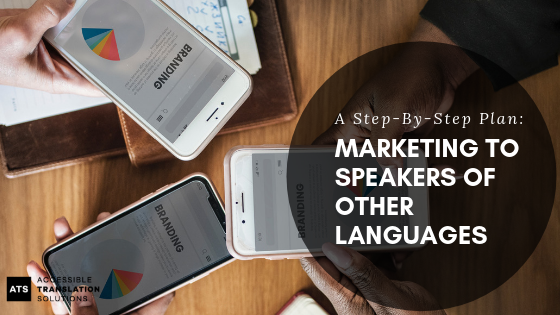 If you are interested in reaching new target markets abroad, or those right here in the U.S. who primarily speak a language other than English, you’ve likely considered translating some of your marketing content. If you’re not sure where to start, don’t worry! Here are four translation mistakes to avoid when marketing to a foreign language consumer group. In a world where everyone is used to receiving things within an instant, it’s easy to assume translations should be immediately accessible, too; we get it! While free automated translation tools can be okay to use when it comes to some phrases, and can be handy when trying to get the gist of a statement or paragraph, they are not meant for professional translation work. Your marketing materials likely contain idioms, colloquial language, or phrases with words that could have more than one potential meaning. Machines simply do not have the capabilities to translate 100% accurately or to understand the nuances of language. When approaching a new target demographic, your materials will likely be their first impression of your company, so making it a positive and professional one is key. Having your materials translated is an investment (and one that is certainly worthwhile if you’re reaching out to a new target demographic!). However, there’s no reason it needs to cost more than it has to! Making multiple changes can be costly. You won’t always be able to avoid making changes mid-process but when possible, try to have everything finalized in your source text before you send it off for translation so as to avoid extra costs for updates. Never translate the name of your business, your trademarked products or proper names that pertain to your business and/or industry. Many times these terms are not commonly known in other languages and may just confuse your customers more. Keep a list of trademarked names and terms that you wish to keep in English so that your translation vendor does not mistakenly attempt to translate these terms. The localization process is a great way to take your translations a step further. Localization ensures that the language, images, layout and more, related to your brand and message, are engaging for your target markets and not offensive or inappropriate in any way. The images and design of your materials are just as important as the text you get translated. Have you witnessed the consequences of one of these four translation mistakes? Do you have other tips on good practices for translation and localization of marketing materials? Let us know!